Wine of the Month Club was born in 1972 out of Paul Kalemkirian’s vision of creating a customer-oriented wine shop that offers only the best wines on the market. In the following years, Mr. Kalemkiarian’s son Paul Jr. expanded on the initial idea by delivering hand-selected wines to customers’ doorsteps. That is how Wine of the Month Club became the very first wine delivery service in the world. Wine of the Month Club is value-oriented and takes great care of its customers. That’s exactly why it has managed to maintain such a long tradition. Read this comprehensive Wine of the Month review to find out more about the company and it exquisite service. While doing research for our Wine of the Month Club review, we found out that the company’s cellar holds an extraordinary selection of wines from all over the world. Mr. Paul Kalemkiarian tastes more than 400 wines every month in order to pick only the best for his customers. There are 11 different clubs with special offers for you. This is where it all began! This is the first club and the club with the longest tradition. Every month, every other month or quarterly, you get two vintage wines from a famous winery located in California or a lesser-known one from New Zealand or Hungary, for example. 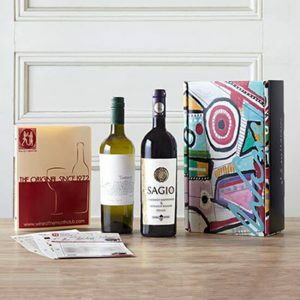 Wine of the Month Club sends two bottles in a box, one red and one white wine, but you can also choose two reds or two whites, it’s up to you. California Series Wine Club presents the best of Californian wines. Two best values of Californian red wines are sent to your home each month, every other month or every third month. This club celebrates marvelous wineries from Napa, Santa Barbara, Sonoma, and all the other wine growing regions in California. If you love red wines from California, this is the club for you. If you like trying new flavors and enjoy quality wines, you should take a closer look at this club. Vintners Series features a wide range of wines from all over the world. Mr. Kalemkiarian tends to choose one domestic and one imported wine for you each month. You can order one red and one white wine, two reds or two whites every month, every other month or quarterly. This is a special selection for special occasions. Limited Series Wine Club brings first-class vintages to all wine lovers. Two bottles are carefully selected and sent to your doorstep every month for 12 months. You can decide whether you want to receive two reds, two whites or one white and one red wine. No matter the type, you always get limited edition wine brought from the cellars of the most distinguished wineries. For all of you who want to have a couple of extra bottles of wine in your home, Cellar Series Wine Club is a perfect solution. 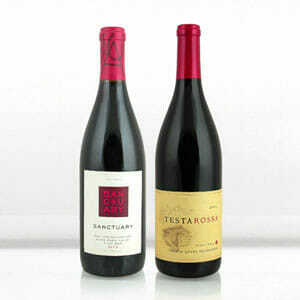 Wine of the Month Club sends you six bottles of various hand-selected wines from Classic, Vintners or Limited Series. 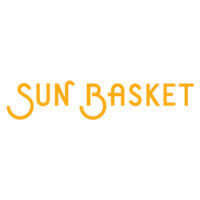 Shipments include four red and two white wines, but you can also choose to get only reds or only whites. The latest addition to the Wine of the Month Club portfolio features 12 bottles of handpicked wines delivered every three months. 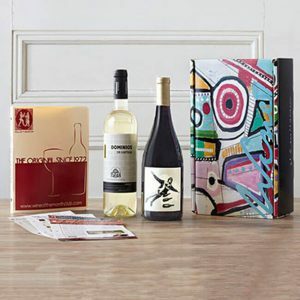 The case contains 4 white and 8 red wines accompanied by The Tasting Room newsletter. 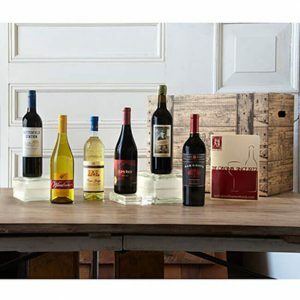 With this club, you get 12 handpicked bottles (8 reds, 4 whites) of the company’s Classic, Limited, and Vintners Series for just $99.00. If you prefer all whites, the price remains the same. The shipment of all reds costs $119.00. Napa Series Club definitely doesn’t need any special introduction. Napa Valley wines hit the world stage at the Taste of Paris in 1976 and they have been growing in popularity ever since. Wine of the Month Club scours the regions for the best wines every single month and provides you with a choice of either two reds or one red and one white wine. With this club, Wine of the Month Club provides you with high-quality wines from the chateaux of Bordeaux without charging you over $1,000 per bottle. You can choose between two reds or one white and one red. Wine of the Month Club staff tastes and evaluates hundreds of different Roses made from dozens of grapes and coming from dozens of regions. 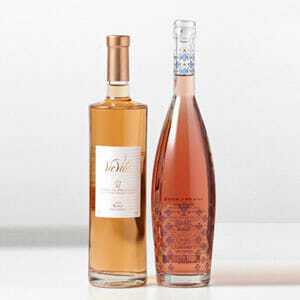 The club offers two bottles of exquisite Roses with every shipment. If you opt for this club, you get two selections of the top Pinot Noir the Club can find. 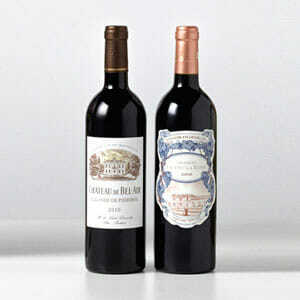 The staff tastes hundreds of vintages and brings you the best two bottles with each order. As we mentioned earlier in this Wine of the Month Club review, this is the first wine delivery club in the United States (and the world). The club’s tradition and extensive member base are the true testaments of its service quality. What makes Wine of the Month Club stand out is that the wine curation process is performed by the first man of the company himself. Paul Kalemkiarian Jr. is a great lover of fine wines and shares only the very best with the members of his club. All wines are delivered with newsletters, which provide essential information about the vintages you receive. Apart from the origin certification, you also receive some expert tips on cellaring and free recipes for dishes that complement the complex flavor of your chosen vintage. Lastly, the company policy and relationship with the customers can best be perceived in its very motto: “You never pay for the wine you do not like.” If you have any complaints about your shipment, you can inform the Club and your money will be refunded or you’ll get a replacement, whatever suits you better. If someone you love or want to impress loves wine, you don’t have to think of their birthday gifts anymore. Wine of the Month Club cellars offer all the gift options you’ll ever need. 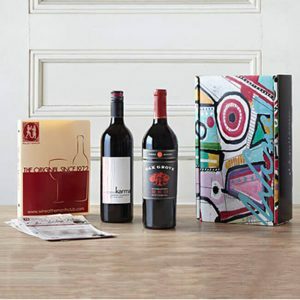 You can choose between one-time wine gifts and gift memberships. One-time gifts can include various wines of different types and origin. 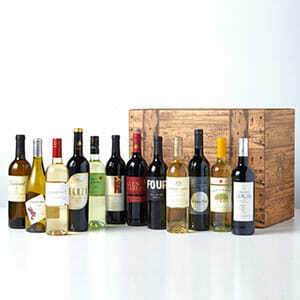 You can send one bottle, a wine basket or an assortment of 2, 6 or 12 wine bottles in a box. There’s a whole section of fine wines that can be sent as a gift to your loved ones or business colleagues. 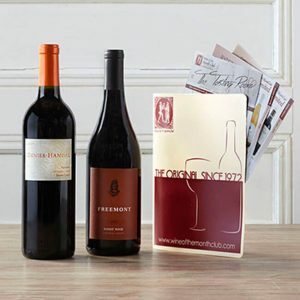 If you’re not certain about the kind of wine your friends prefer, you can also choose to send them some wine accessories or simply give them a gift certificate in the amount of your choice. With one-time gifts, there are no limitations on the number of bottles, gift certificates or wine accessories you can purchase. If you know your friends or family members love quality wines, a monthly delivery may be the perfect present regardless of the occasion. In that case, you can select one of the company’s gift memberships. There are currently 11 different clubs to choose from, which can accommodate even the most refined of tastes. Wine of the Month Club only selects the most value-oriented wines for you every month. It makes sure you get high-quality wines at below-retail prices. The Classic Series Wine Club membership costs $24.96 per month for two bottles of wine. 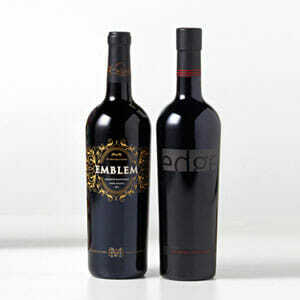 If you want two bottles of Californian wines delivered to your doorstep, your monthly membership will amount to $29.96. 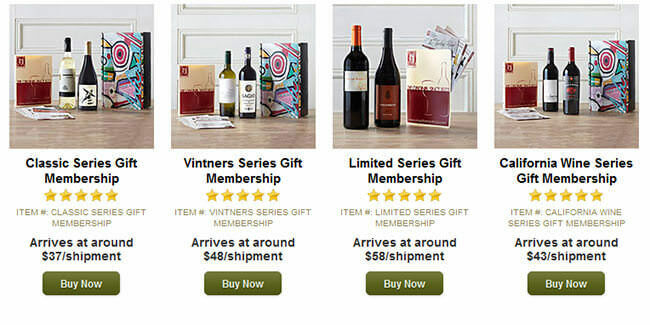 The price of a shipment from Vintners Series is $34.96 and wines from the Limited Series Wine Club are $45.96 a month. 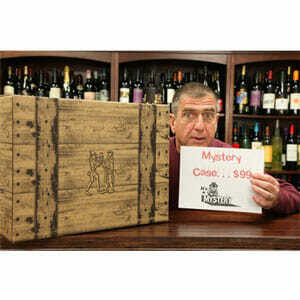 Wine of the Month Club recently expanded its portfolio to include Cellar Series (around $74.88 for 6 bottles), Case Club Series (around $149.76 for 12 bottles), Mystery Case Series (around $99.00 for 12 bottles), Napa Series (around $49.99 for 2 bottles), Bordeaux Series (around $49.99 for 2 bottles), Rose Series (around $39.99 for 2 bottles), and Pinot Noir Series (around $80.00 for 2 bottles). Taxes and shipping fees aren’t included in these prices, so your final bill will also depend on your current location. 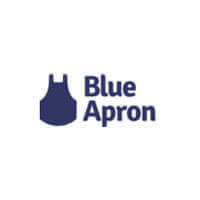 Shipping is free for all gift membership deliveries and the area of delivery doesn’t affect the price of the gift. Membership at Wine of the Month Club is free per se. You only pay for your orders and associated shipping fees. Therefore, you can cancel your membership anytime without any penalties. Moreover, in case you don’t like the wine you receive, you can always ask for a replacement or refund, no questions asked. Wine of the Month Club offers customer support services via phone or email. You can contact the support staff between 7 am and 5 pm (Pacific Time) to ask for information, change your order or cancel your membership. In case you can’t phone them or want to ask something after hours, you can fill a form online or simply send them an email. To make sure Wine Of The Month Club meets all your standards and expectations, it is important to know its biggest advantages and disadvantages. With a short overview of its pros and cons, you can easily decide if Wine Of The Month Club is the right company for you. Tradition, quality, and variety – those are the words that best describe Wine of the Month Club. Mr. Kalemkiarian and his team of experts taste and select the finest wines from all over the world for you. Whether you want domestic or imported wines, Wine of the Month Club has you covered. Limited edition vintages are also available to enrich your dinners and other special occasions. We hope our Wine of the Month Club review did justice to this team of wine aficionados and provided you with enough information to decide whether this company can answer your appetite for fine wines in the long run. Our ratings are the result of an objective and independent evaluation of Wine Of The Month Club, generating the final rating that reflects the overall quality of the company. Ratings may change as the service changes. Wine Of The Month Club customer rating based on 4 customer reviews. Well, I was a bit suspicious at first, but I found the idea of free cancellation very comforting, so I decided to give it a try. And I’m very pleased with them. I’ve been receiving wines from Wine of the Month for a year already. Next month I’m changing to Vintners Club membership! I really like the wines, really do, but I live in Springfield, Illinois, and my shipping fees are going through the roof! Change something about that, Pls! I didn’t know wines from Napa are that good! Great choice, Mr. K! I’m pretty satisfied, much better than I expected. There was one Chardonnay I didn’t like, I don’t know why they picked it, but I complained about that and got a good replacement. We found 1 verified Wine Of The Month Club discount for April, 2019. Game of Thrones WinesNow Available at Wine of The Month Club! Get yours before Winter comes! Sign up and we’ll let you know about future Wine Of The Month Club promo codes.